I love fall. I love squash. I love to cook on cold, dreary days. This soup sounded so good. It was a little bit of work, but well worth it. No one else in my house will eat this, but I am going to bring it into work this week and share with my co-workers. I also bought a large baguette loaf of bread to dip into it. Enjoy! Peel and dice the squash. Place on a roasting pan. Sprinkle with salt and cinnamon. Roast at 425 degrees for 30 minutes. While roasting, pour olive oil into dutch oven. Cook apple and onion until soft, about 15 minutes. Pour vegetable stock and milk over apple mix. Add roasted squash when done. Bring to a boil. Decrease temp and let simmer, covered, for about 30 minutes. 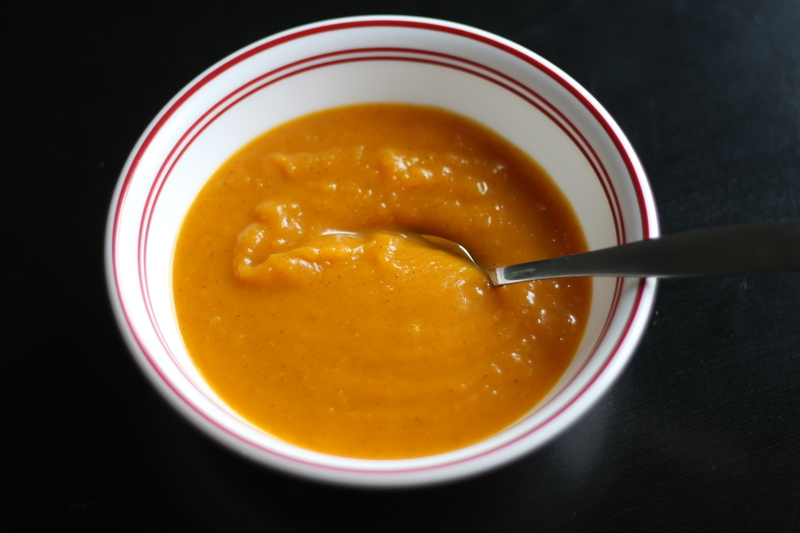 Use an immersion blender to puree soup. Enjoy!